Bracknell Town were founded in 1896 as Old Bracknell Wanderers, starting life in the Ascot & District League in 1904. They finished runners-up in this league in 1908, before finishing as league champions in 1912 and 1933. 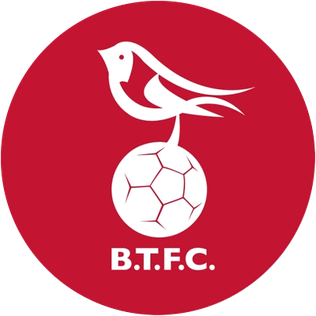 After World War 2, the club changed name to Bracknell FC and joined the Reading & District League, where they remained until joining the Great Western Combination League in 1958. In 1962, the club changed to its current name, before joining the Surrey Senior League the following season. They finished bottom of the league in the 1965/66 season, but went on to complete a league and cup double in the 1969/70 season to earn promotion to the Spartan League. When this league merged with the Metropolitan-London League in 1975 (becoming the London Spartan League), the club were placed in Division 1 and finished as runners-up, losing the title on goal average to Farnborough Town. Division 1 was renamed the Premier Division in 1977 and, despite finishing 4th in the 1978/79 season, the club suffered relegation to the Senior Division, winning it at the second attempt to return to the Premier Division. After winning the Premier Division in 1983, the club joined Division 2 South of the Isthmian League, having been rejected by the Athenian League. They finished as runners-up in 1986 to earn promotion to Division 1, but they were relegated back again in 1989. A reorganisation of the league saw Bracknell Town placed in Division 3 in 1991, but they earned promotion back to Division 2 at the end of the 1993/94 season. They remained in Division 2 until being relegated back to Division 3 at the end of the 1998/99 season. 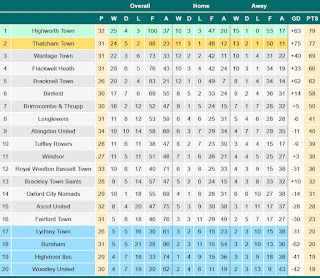 After the Isthmian League was again reorganised in 2002, the club found themselves in Division 1 South, but they were soon transferred to Division 1 West of the Southern League, from which they were relegated to the Hellenic League Premier Division at the end of the 2009/10 season. Two seasons later, the club suffered relegation to Division 1 East of the Hellenic League, but the following season saw them earn promotion to the Premier Division, despite only finishing 5th. They have remained in the Premier Division ever since, recording a highest finish of 2nd last season, and potentially able to match that this season. In the FA Cup, the club's best run saw them reach the 1st Round in the 2000/01 season, beating Hillingdon Borough, Ashford Town (Kent), Merstham, Banstead Athletic and Aylesbury United before losing 4-0 at Lincoln City. In the FA Trophy, the club reached the 1st Round on three occasions, most recently in the 2004/05 season when they entered at that round but lost 4-0 at home to Hucknall Town. As for the FA Vase, the club's best run came this season as they reached the Quarter Finals, beating Buckingham Athletic, Cricklewood Wanderers, Lordswood, Blackfield & Langley and Coleshill Town before losing 3-0 at home to Marske United. My original plan yesterday had been to do a vulture job at Thurrock before they fold at the end of the season, but a few days ago it became apparent that I would not be able to justify this financially, having just spent close to £100 on a 3DS, a charger, an SD card and a game for it. As such, I once again started looking at less distant options, with games at Worcester Park, Didcot Town and Harrow Borough all catching my eye. However, the weather decided to be a pain again, with a "mini Beast from the East" coming over the country on Friday night/yesterday morning. As such, the game at Harrow Borough was already postponed by the time I was up and checking Twitter. I then looked at my other options and it was clear from early on that Didcot Town was indeed on, but nothing was coming through from Worcester Park. Eventually, I was told that the decision on whether their game would go ahead or not would likely come down to the referee and, as such, I decided to miss my chance to go to Didcot to wait on news from Worcester Park (I have to order train tickets online more than an hour before my train leaves, and in waiting for Worcester Park I missed my opportunity for that with Didcot, meaning I missed a seven-goal thriller). Unfortunately, this gamble on my part did not pay off as, by the time I had to decide whether to order train tickets or now, no definitive news had come through from Worcester Park and, with snow falling once again in March, I wasn't going to risk it (although, of course, that game also went ahead and Worcester Park ended up winning 5-3). This indecision that had caused me to miss two prime opportunities meant that I was very limited on my options so, when I saw that Bracknell Town were at home on the 3G, I decided to take no risks and just go for that, even though I would have much preferred to save my most affordable 3G option (in terms of train travel) for a day when it was truly necessary. However, I had only myself to blame for this development, so I ordered my train tickets, had a quick lunch and then headed to the train station. After a fairly short train journey, with the only annoyance being a 20-minute wait at Wokingham as I changed trains, I arrived at the ground 15 minutes before kick-off, paying £5 for admission and £1 for the unusually-shaped programme, before then rushing to do my usual circuit of photos before kick-off. I just about finished as the players started coming onto the pitch to do the usual handshakes to get started, and after this I quickly claimed a seat in the stand just as the game kicked off. 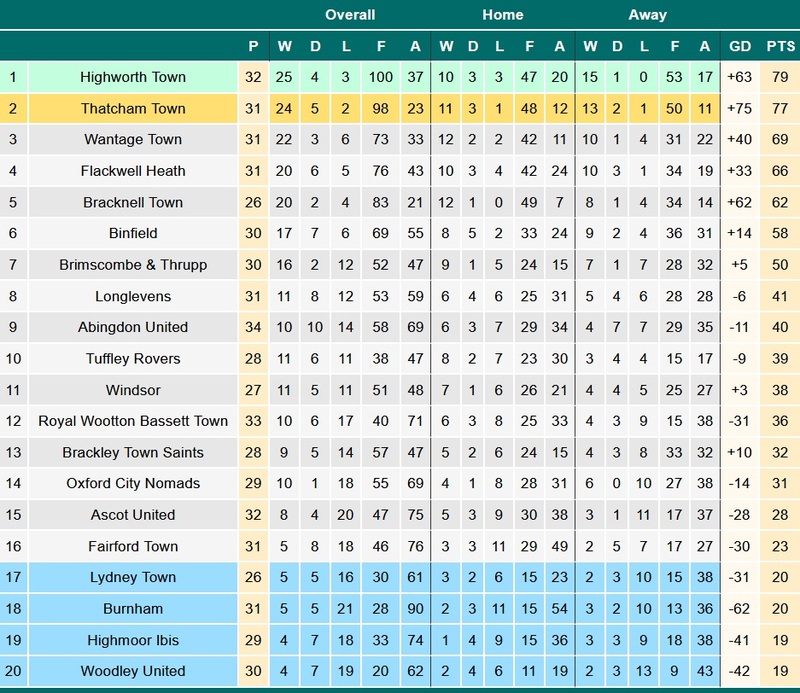 Looking at the table ahead of this game, it was hard to make a judgement due to Bracknell's position clearly not being an accurate reflection of their quality, with them having enough games in hand to catch the top two yet currently being 5th. However, Longlevens' position was clearly not so misleading, with them being comfortable in mid-table. As such, while a Bracknell win did seem likely - especially considering their virtually-immaculate home record - a close game seemed reasonably likely. Unlike last week at Corinthian-Casuals, the game kicked off precisely at 3pm and Bracknell came out on the front foot, going straight on the attack and creating chances almost immediately. As such, it was unsurprising when the home side took the lead in the 4th minute, Joe Grant lobbing Ashley Wintle in the Longlevens goal - who had charged out of his goal to stop the attacker's run - and into the net, although chances are it was an own goal: a Longlevens defender tried desperately to clear the ball before it went over the line, but instead put the ball into his own net (although the ball may well have been over the line at this point; I couldn't tell from my seat in the stand). This lead was doubled within 2 minutes, an excellent passage of attacking play setting James McClurg free in the box to then shoot from close range and score. 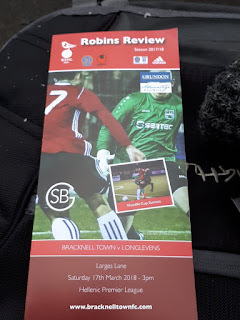 Bracknell could have easily scored several more in the next five minutes, but a mixture of questionable offside decisions, decent goalkeeping and occasionally profligate finishing kept the scores as they were for a while. At the other end, Longlevens on occasion attempted to break forward and create chances to get back into the match, but Bracknell pressed hard and fast to win the ball back and, when Longlevens tried the ball over the top to set an attacker through (a frequent tactic throughout the match), the home side were usually able to win the ball in the air and begin another attacking move. At times, the interplay between the Bracknell players was nothing short of astounding, as they had Longlevens chasing shadows and constantly created tons of space to play into, so it is to the away side's credit that they were able to keep Bracknell at a two-goal advantage for 25 minutes, but defensively they will be very disappointed with the manner in which the 3rd was conceded: Kensley Mahoney, Kahild Senussi, Seb Bowerman and Joe Grant all linked up as the ball was played forward and into the box on the keeper's right, before an initial shot was blocked; Bracknell got the ball back and tried again, this time from the centre of the box, but with the same result, and still the ball wasn't cleared by the Longlevens defence; eventually, the ball fell into the path of Grant who dribbled past a defender before shooting and scoring from close range. After this third goal, proceedings slowed down a little, with Bracknell being relatively comfortable and Longlevens not really having much of a way back into the game. As such, for the remaining 15 minutes of the half, the half continued as it had done throughout: Bracknell attacked with the ball on the ground, using runners and excellent interplay to create space and chances, while Longlevens tried to keep them at bay and, when gifted the ball by the home side one way or another, go on the attack themselves, sometimes trying to play out but mainly trying to catch Bracknell's high defensive line out with the ball over the top. However, other than Longlevens almost pulling one back in truly audacious fashion (their number 2 attempted to play a cross into the box, but the ball instead floated towards the goal, and Bracknell's Chris Grace just about judged it right and tipped it over as the ball started to dip into the net), the half finished without further incident, with Bracknell leading 3-0. The second half started in similar fashion to the first, with Bracknell once again going straight on the attack and trying to further increase their advantage (after a brief delay for one of the linesmen to fix their broken flag). However, as the first of these attacks foreshadowed, it wasn't going to be quite as easy for Bracknell in the second half: compared to the first half, Longlevens looked a lot more defensively resilient and were leaving far fewer gaps for Bracknell's attack to exploit, forcing them into difficult situations of trying to play the ball across the goal to create chances. As you would expect, this proved far less successful than their first half attacks, as it made the job less difficult for Longlevens, especially as it seemed as if the Bracknell players were trying to be a little too crafty with their play at times: while this was in part because of Longlevens' defensive improvements, Bracknell also equally had themselves to blame, with players such as Adam Cornell seemingly trying to walk the ball into the goal at times, rather than just taking the easy shot. This change in the play made the second half slightly more frustrating to watch, as while Bracknell were struggling to break through in this manner Longlevens never really looked like scoring when they were able to get up the pitch, with the Bracknell defenders comfortably dealing with most of the attempted balls over the top before the Longlevens forwards got to them. However, when the home side tried the simple shot (whether from distance or from in the box), they generally tested Ashley Wintle far more than they were through their first half approach (especially once Joe Grant was substituted, as a lot of Bracknell's best play was moving through him). Even so, it is clearly part of Bracknell's tactical approach not to do this, so as a result it didn't often happen except out of sheer frustration. However, the game's final goal came from a simple shot from long range, with TJ Bohane taking a shot from 30 yards that flew past Wintle and into the net. This goal seemed to revitalise Bracknell and take the last bit of fight out of Longlevens, and Bracknell once again started to see similar attacking success to that of the first half but, with minimal stoppage time (just a couple of minutes to account for the linesman replacing his flag), there wasn't much time for the home side to get a 5th goal, and so it finished 4-0. Overall, much like last week's game at Corinthian-Casuals, this was an unusual game of two halves: the first half was some of the best football I've seen this season, but the second was much more of a slog by comparison, despite neither team drastically changing their approach. Still, Bracknell deserved the three points and, on another day, could have easily scored another four if they so chose. However, though my match report makes it sound like Longlevens were nothing short of awful and would have deserved to lose by such a margin, that isn't really true at all: they looked a solid side, far better than I give them credit for, and the scoreline doesn't really do their performance justice at all. However, other than that audacious effort in the first half (which, realistically speaking, surely wasn't intentional), they never looked like scoring so can have no complaints about the result. 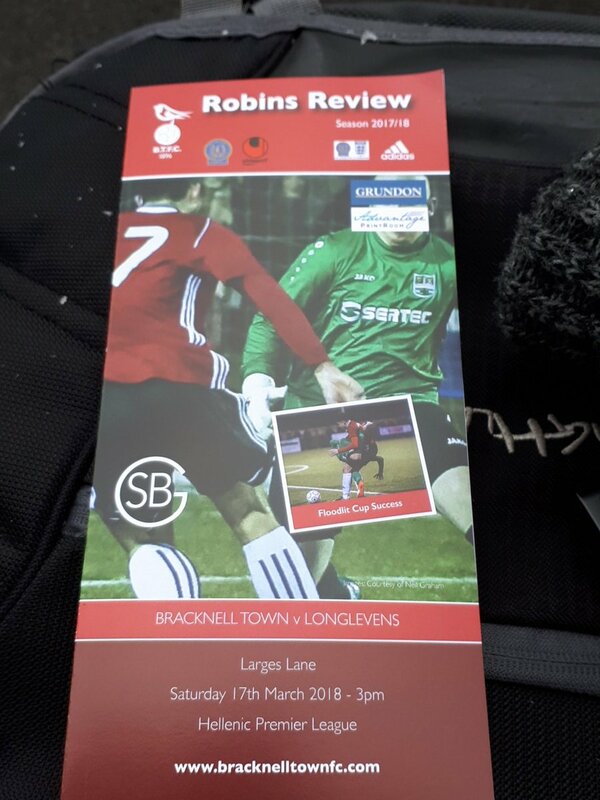 Longlevens are a good side, but it's just unfortunate for them that Bracknell seem to be on an entirely different level from that (and it's strange to think that they may not be promoted despite this, due to how well Thatcham and Highworth are both doing). Overall, despite the weather once again being less-than-pleasant (and ridiculously cold for the middle of March, probably colder than at any point during the actual Winter months), this was a good game and a good groundhop, with the Hellenic League once again providing an exciting affair and some excellent play: I've not seen that much of it or its teams yet, but I'm starting to really like the Hellenic League, as it seems to be a very strong league this season with some impressive teams plying their trade in it. As for upcoming plans, I'm returning home from University again next Friday, so my groundhopping will once again slow down as it did over Christmas. If all goes well, though, my next groundhop will be on Easter Saturday for Yaxley's visit to Kirby Muxloe, as we continue our battle for promotion to Step 4. Larges Lane is a decent ground, one that has experienced an almost-complete overhaul after the 3G pitch was laid. All the cover is on the near side of the ground, with the main stand providing seating for 150 people and being connected to the bar and boardroom. Next to this is a black shipping container that is seemingly intended to serve as covered standing of some sort, although I'm not sure how many people could feasibly fit while still having an acceptable view of the game. The other three sides of the ground are open hard standing, with there currently being absolutely no room for any kind of expansion due to the ground being very much penned in on all sides: granted, this shouldn't be a problem should the club earn promotion to Step 4 in the near future, but anything above that would prove problematic, I would imagine. The ground has an overall capacity of 1,500, with the 1,142 crowd for the FA Vase Quarter Final defeat to Marske United presumably being the record attendance since the overhaul was completed.